With a combined storage in Chennai's four reservoirs falling bellow 700 million cubic feet, the Cauvery water will help tackle the crisis. CHENNAI : The State government has decided to provide the city with an extra supply of around 500 mcft of Cauvery water, a portion of which was released from the Mettur dam on Sunday night, and is expected to reach Veeranam tank in Cuddalore in 10-12 days. With just less than 700 mcft of water left in all four reservoirs of the city, supply of Cauvery water comes at a crucial time as the city is slipping into a severe drought situation. This extra supply of water will comfortably last till July while quarries, mines, agricultural fields and two desalination plants will act as additional water sources, said officials. Officials of the Water Resource Department said that as sufficient water from the Mettur dam has been distributed for irrigation purposes, the remaining 29-30 tmcft has been kept in reserve to supply water purely for drinking water needs of the whole of Tamil Nadu. The current water level in the Veeranam tank, which was 589 mcft as of Monday, will be doubled with this additional supply. “Out of 6,000 cusecs released on Monday night, 1,000-1,300 cusecs will reach the Veeranam tank in a week. Gradually supply will be increased and by mid-April, Veeranam will reach its full capacity of 1,465 Mcft,” said a senior official. “Water released from the Mettur dam will reach the lower anaicut and then flow into the Vadava channel to finally reach Veeranam. Currently 74 cusecs is pumped into the Porur lake after treatment at the Vadakuthu treatment plant. This supply can be slightly increased also if needed,” added the official. 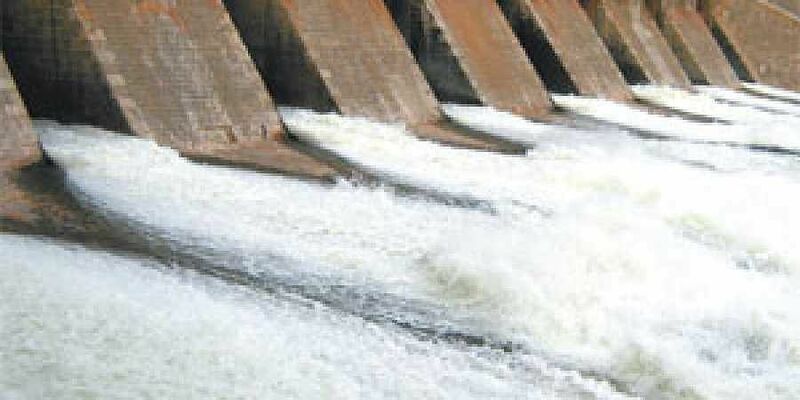 Reservoirs bone-dryAs on Monday, the combined level of all four reservoirs in the city stood at 686 mcft, which is only six per cent of full capacity. Though they have reached their dead storage levels, Metro Water has started to draw 100 MLD of water from Red Hills. Also, remaining water at Chembarambakkam can be supplied only for the next seven days, said officials. “Poondi, which has the highest water level of 333 mcft among the four reservoirs, can supply water till May-end. We will begin extraction of water from 10 identified agriculture wells and quarries by April first week. With these sources we can supply 500-550 MLD till May-end,” said a senior Metro Water official.